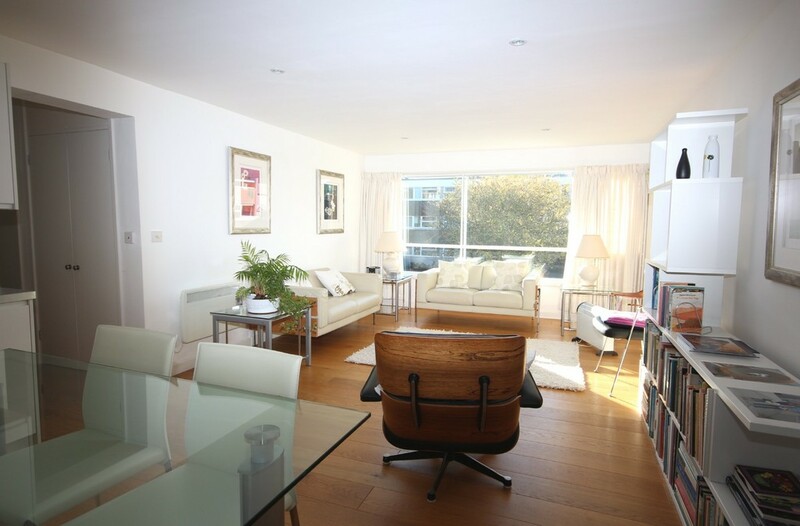 I’ve just found an apartment on Zoopla that’s for sale in Cambridge, and it came so close to getting a Best Presented award from me, but there are two things that I’m dying to be able to go in and change. The first is a styling for photography issue – the chair in the centre of the photo to the right really should have been moved. Its back is to the camera which is really quite rude, and it blocks off so much of the rest of the room. It’s the first thing your eye is drawn to, being a darker colour than all of the other furniture and right in the middle of the image, and it just throws the whole photo off balance. Moving the chair further into the seating area and angling it to the side would have been better, or removing it altogether. Just not sat there in the middle ruining a perfectly good shot! Is this the only bedroom? The smaller one? Where’s the master? 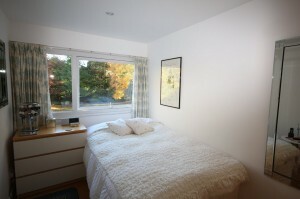 The second problem I have with this flat is a staging issue, with regards to the bedroom situation. 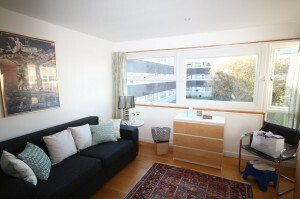 The listing states that it’s a 2-bedroom flat (click on the photo to go to the listing on Zoopla), but only 1 bedroom is visible in the photographs and to be honest, it looks rather small. On a brief look at the listing, a buyer might assume the one bedroom shown is the master bedroom, see that it’s a bit small, and move on to look at other properties without a second thought. Now I don’t like being confused and I can always use problems like this as educational material, so I spent a quite a long while working out which photos showed which rooms on the floorplan (the lack of useful captions on the photos doesn’t help either). I finally came to the conclusion that the photo below is actually the master bedroom. Is this the lounge? Or the master bedroom? It’s presented as another living room, or maybe that sofa is a sofa-bed, but whatever the reason, it’s confusing for buyers when they’re expecting to see a 12 foot by 12 foot master bedroom and what they actually see is a 10 foot by 7 foot second bedroom or if they put the effort in to identify it, a seating area that’s actually the third space of this type in this relatively small flat. Staging the master bedroom with a double bed would completely avoid all this confusion, and would greatly enhance the impression given to potential buyers. Currently the vendors risk losing buyers who don’t spend the time to figure out which room is which – don’t let this happen to you too. I thought it would be useful to show you these issues, so you can watch out for them in your own styling and hopefully win a Best Presented award for yourself!